'A bit sharper in tone than the first and also briefer'. This is how one writer speaks of 2 Thessalonians. The suggestion has been made that there were two churches in Thessalonica, a Gentile one and a Jewish one and that is why we have two letters but such an idea totally lacks support. In a previous article on Paul's first letter to the Thessalonians we said something about the city of Thessalonica, the church that Paul established there under God and the first letter itself. We will not repeat that here but go on to look at Paul's second letter. Paul's letters to the Thessalonians are among his earliest writings and interestingly they show that at a relatively early stage in Paul's preaching the message was well established and there was a well defined body of doctrine. In 2 Thessalonians 2:15 there is a reference to the traditions they had received (So then, brothers, stand firm and hold to the teachings [or traditions] we passed on to you, whether by word of mouth or by letter.) and in 3:6 it says that they should avoid any practices that are not according to this tradition (In the name of the Lord Jesus Christ, we command you, brothers, to keep away from every brother who is idle and does not live according to the teaching [or traditions] you received from us.) It would have been an oral tradition at this point in the development of the Christian church but it was clearly defined and known. This last reference to it (3:6) shows that it included ethical teaching as well as doctrine. The teachings of the apostle were to be received as authoritative, as is made clear in the slightly earlier letter Galatians. No other teaching could be substituted for it. 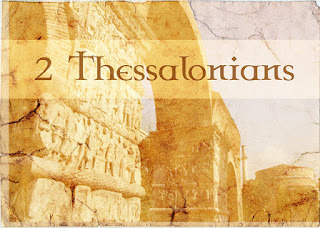 Paul shows to the Thessalonians that this is not just his own personal authority but one that comes from God. They received his message as it really is, God's Word (1 Thessalonians 2:13). Paul's second letter was probably written fairly soon after the first, while he was still in Corinth, in AD 52 or 53. It was intended to help clear up some further misunderstandings about the Second Coming - that it was going to be very soon or else that the Day of the Lord had already come. They may have misunderstood what Paul had written in his first letter. Otherwise, they may have been influenced by some other false teaching. 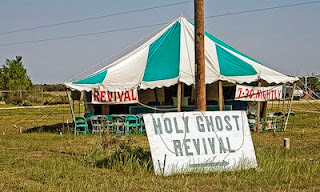 In 2:2 he warns them not to be shaken or disturbed by a spirit or message supposedly from him. It may be that Paul is having to deal with teaching falsely attributed to him. He wrote to them so that they could identify the approach of the true Day of the Lord. The criteria he sets before them for this were obviously understandable to them at the time, though they it may not be quite so clear to us today, especially the identity of the man of lawlessness and whatever it is that is restraining him at the moment. Paul writes You know what is restraining him now (2:6). 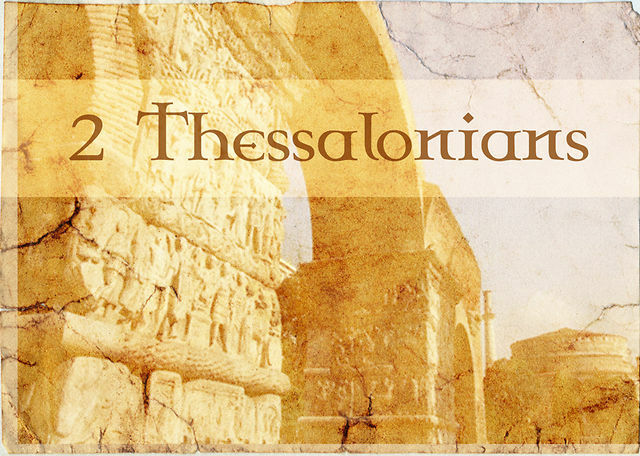 The Thessalonians obviously did not have to indulge in the protracted eschatological debate that has characterised attempts to interpret that verse in more recent times! 2. The removal of some restraining influence (2:6,7) You know what restrains him now … He who restrains will do so until he is taken out of the way. 3. The manifestation of complete evil, the incarnation of evil, energised by Satan (2:9) who will exalt himself as God, the one traditionally called the man of sin and the son of perdition and whom modern versions refer to as the lawless one and the man doomed to destruction. We do not find such teaching elsewhere in Paul’s New Testament writings, though it must have been an integral part of his instruction to new converts and young churches. It would seem that in his brief time with the Thessalonians he had already imparted some teaching on the Lord’s return. Paul shows that the mystery of lawlessness and of Christ will develop alongside each other in the world, leading to a final clash in which the Lord will triumph. The third chapter expands on the instruction given in the first letter that they should lead a quiet life, attend to their own business and work with their hands (1 Thessalonians 4:11). This addresses the problem of those who were so taken with the idea of the Lord’s return that they ceased any kind of work and just waited for him to come. This led to their becoming dependent on others for their support. The problems persisted, even after Paul’s first letter and had to be dealt with more thoroughly. All sorts of interpretations have been suggested to explain who the man of sin is, everything from a Roman Emperor to the Pope to Hitler or Stalin to a new incarnation of the devil himself. It all makes for entertaining matter for pulp fiction or the cinema and intriguing stories round the fireside but is not of much help to us in the end. His characteristics are worth noting – lawlessness, opposition to all that is called God, exalting of himself above God, one having access to the temple of God (that is where God is worshipped), one connected with apostasy or falling away and someone that first century believers needed to know about. He is also one who was being restrained but who will eventually be revealed and then removed. It seems likely that the man of sin and the Antichrist are one and the same and perhaps in both cases we are wisest to think in terms of principles operating in this world rather than in terms of one particular individual. The Reformers were right to see the Popes as fitting the bill but there are others too.